DO I NEED PLANNING PERMISSION FOR SOLAR PANELS? Solar panels are a great way to use the natural elements of the Earth to create energy. They can be used to collect sunlight and convert it to energy that can be used for electricity. 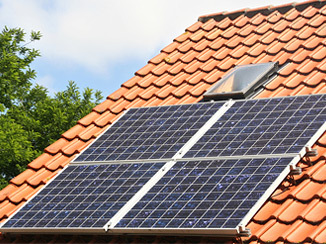 No matter where you live, home solar panels can be installed by professionals. There are also some Solar Home Kits you can install on your own for less money. You can convert any type of home or business into one that uses solar energy in order to create electricity. Even if you don’t collect enough sunlight to provide all your electricity, you can collect enough of it to significantly reduce what you do use. This is one way we can all help the environment and save money in the long term. Before you buy solar panels, you'll need to do your homework. Find out what all of the benefits to you are going to be. In addition to helping the environment when you install home solar panels, you'll be saving money on electricity as well. If you are worried about the cost, find out if there is a tax incentive in your area. There should be a rebate or discounted cost offered by the government to entice people to put solar panels in place. Many construction companies are being able to take advantage of them as well. As long as the new homes they build feature solar panels, they can get some great tax breaks. In many cases fixing solar panels to your roof is likely to be considered 'permitted development' under planning law with no need to apply for planning permission. There are, however, important exceptions and regulations which must be observed. If you are a leaseholder, you may need to get permission from your landlord, freeholder or management company. Panels on a building should be sited, so far as is practicable, to minimise the effect on the appearance of the building. They should be sited, so far as is practicable, to minimise the effect on the amenity of the area. If your property is a listed building installation is likely to require an application for listed building consent, even where planning permission is not needed. Wall mounted only - if your property is in a conservation area, or in a World Heritage Site, planning consent is required when panels are to be fitted on the principal or side elevation walls and they are visible from the highway. If panels are to be fitted to a building in your garden or grounds they should not be visible from the highway. In the case of land in a conservation area or in a World Heritage Site it should not be visible from the highway. Back to "Do I Need Planning Permission"
Conservation of energy has become an extremely big deal these days. With this in mind, it leaves many individuals in the UK questioning, do I need planning permission for solar panels. The good news is that the installation of solar panels is beginning to be noted as a permitted development, this means you will not need to apply for any type of planning permission through the council in order to have them installed. However, even though solar panels planning permission is not required, you will be required to stick to the limitations of having these panels installed. The panels must be mounted onto a house or building that is within the grounds of the residence. The panels will need to be sited; this will help minimize their appearance on the building. When the panels are no longer required, they must be removed as soon as it is practicable to do so. Panels cannot be installed on buildings that are on listed grounds. Also, if the building where the panels are being installed is in a conservation area, they cannot be applied to wall that faces a highway. Solar panels planning permission is not required for buildings that are not listed buildings. However, even though you do not need to question do I need planning permission for solar panels, all normal building regulations still need to be adhered to when installing these panels.